When you’re planning a trip to Mexico, it’s in your best interest to be prepared for anything that comes your way before crossing the border. Driving through the country is one of the most convenient modes of transportation for seeing all of the sites that our neighbor to the south has to offer. An important point to consider is that the etiquette and behavior for driving in Mexico is different than in the United States, so you’ll need to adjust accordingly before your trip. While you can typically get away with driving a few miles per hour over the speed limit here in the states, it’s best to abide by the rules of the road to ensure the safest experience for you and everyone else. We also recommend carrying a reliable road map and a sufficient amount of pesos for paying highway tolls. That way, you’ll be able to enjoy your trip without having to worry about the delays that come with a lack of proper preparation. One of the best ways to prepare for your trip in advance is to buy Mexican auto insurance online so you can be confident in the safety of your investment during your travels. While many people travel to Mexico from the United States and Canada without a problem every year, it’s better to be safe than sorry when it comes to potential problems with your vehicle. Our company is here to help you by providing you with the car insurance you need and a plan that offers coverage for any possible issue. 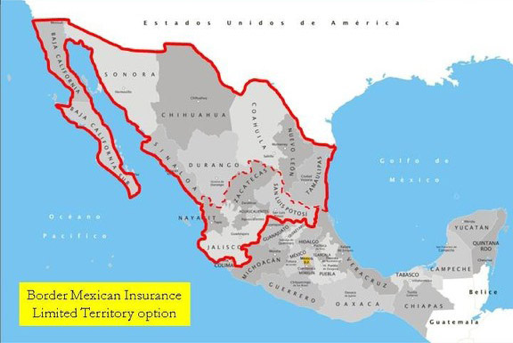 How Much Does Mexican Auto Insurance Cost? Find Out Today! 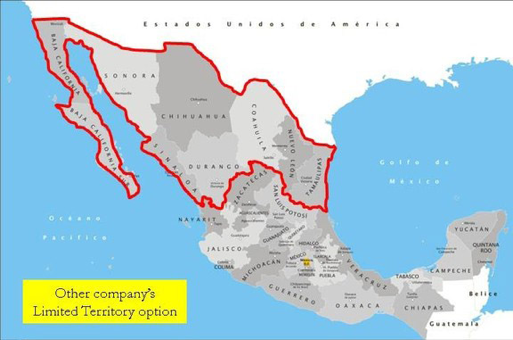 Before you decide to take advantage of our exclusive coverage opportunity, you’re probably asking yourself, “How much does Mexican auto insurance cost?” We understand the importance of being mindful of your budget for your trip, so we work with you to arrange a plan with the most affordable coverage available for your investment. Depending on the extent of coverage you’re looking for, the type and value of the vehicle you’ll be driving, and the duration of your trip, we’ll match you up with a plan that matches your personal needs. From daily coverage to 6-month and annual limited and full territory packages, we offer you a variety of options based on the exact specifications of your time abroad.